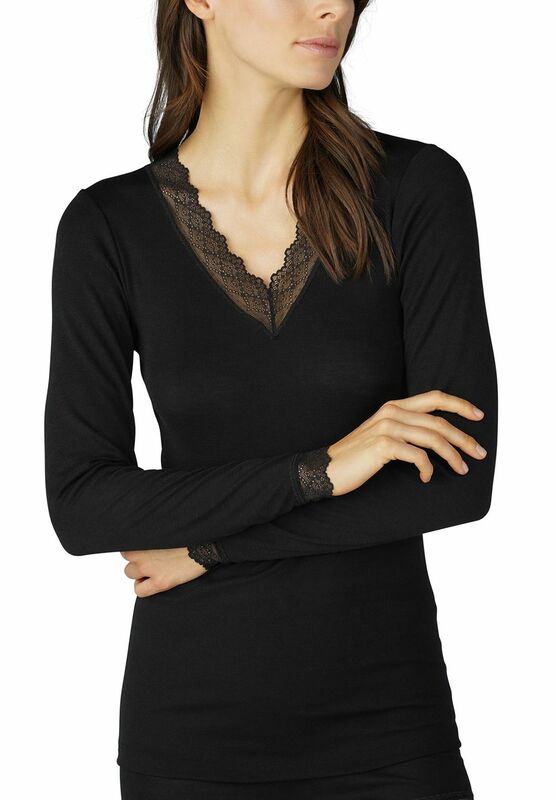 Pretty lace fronted top with a light look and feel - will keep you really warm. The 70% virgin wool / 30% silk material is a great mix of warmth and softness. The virgin wool will keep you warm and wick moisture away from the body. The 30% silk adds a super soft feel to the fabric.